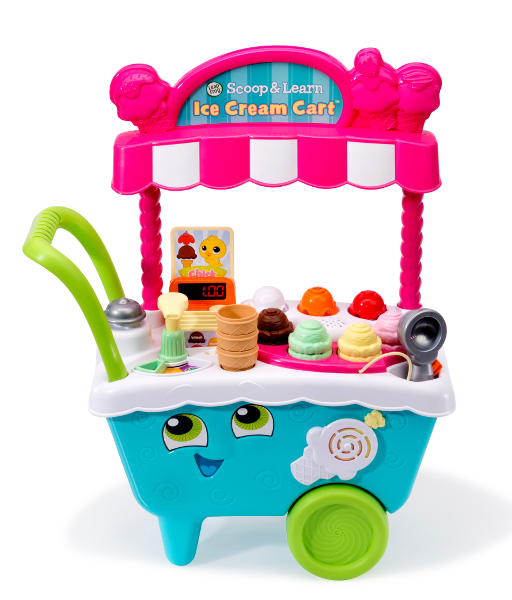 The LeapFrog Scoop & Learn Ice Cream Cart will delight and surprise kids as they create tons of imaginative combinations with assorted ice cream scoops, toppings and syrups that teach colors and flavors.v Kids can build memory and sequencing skills when they insert an order card into the cash register and create the customers order in the correct sequence, and count along as they add the correct number of syrup pumps. Once the ice cream matches the image on the card, kids can ring up the sale and push the cart along to find new customers. Playful phrases introduce colors, numbers, flavors and more. All of the pieces can be placed in two side storage drawers and kids can push the cart around to hear upbeat songs and music. 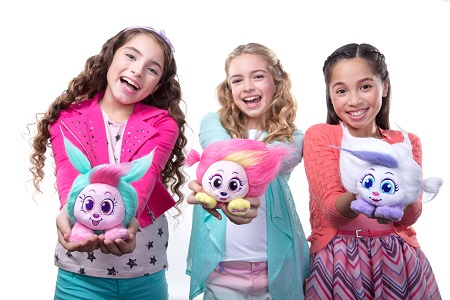 ZURU is bringing the popular girls plush, Shnooks, back for a whole new generation of young girls! 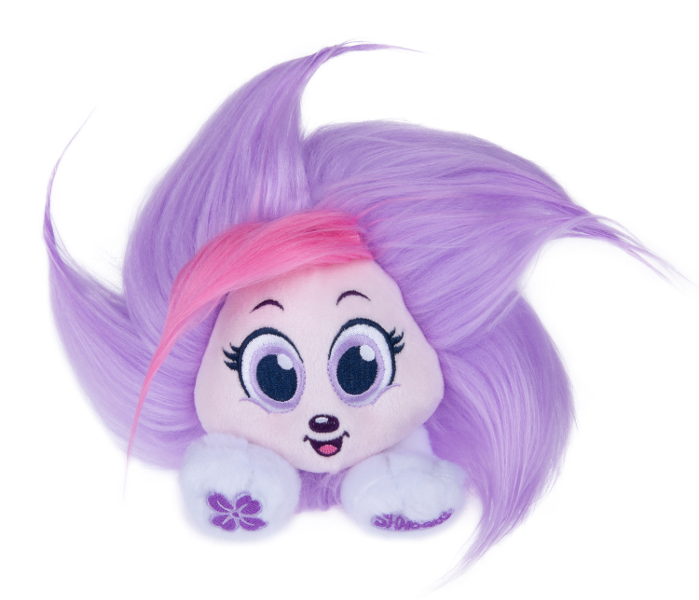 Shnooks are an ultra-cute feature plush that combines hair-play with a unique shnubble-bubble pack, which means Shnooks magically expand 8x their size when opened. Kids will love opening their Shnook and styling multiple looks. There are 6 new characters to collect, each with their own personalities and best friend powers. The newest addition to the Dream World line. 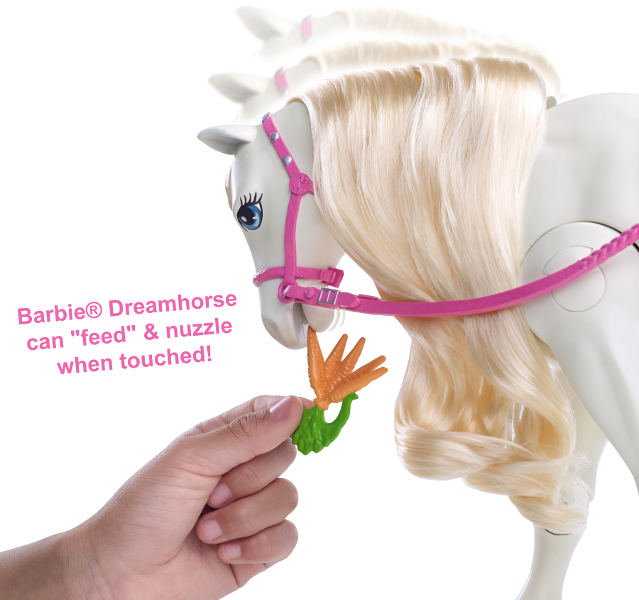 Barbie and her DreamHorse. This gorgeous animal not only features sounds and motion but also interacts with girls via touch and sound sensor reaction. 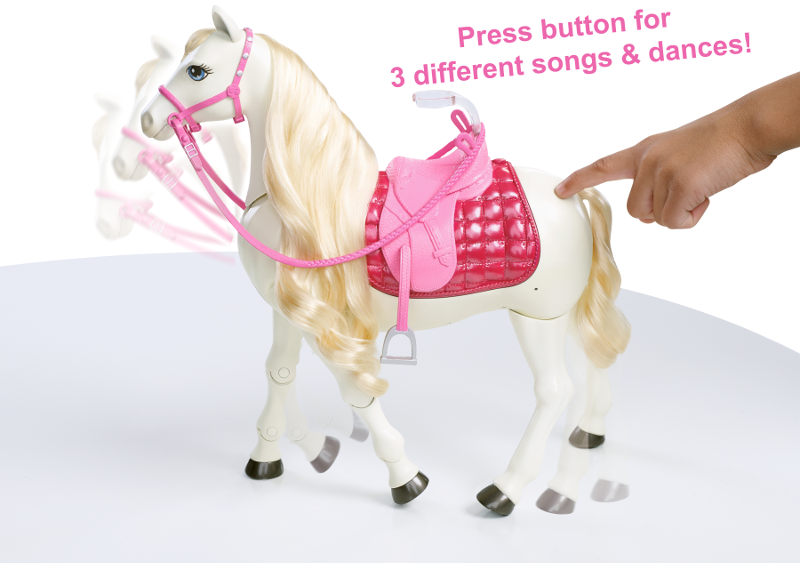 The horse can walk and turn 360 degrees or neigh and feed (a bunch of carrots are included. It nuzzles in response to touch and nods yes or no when you ask a question. It also plays songs. 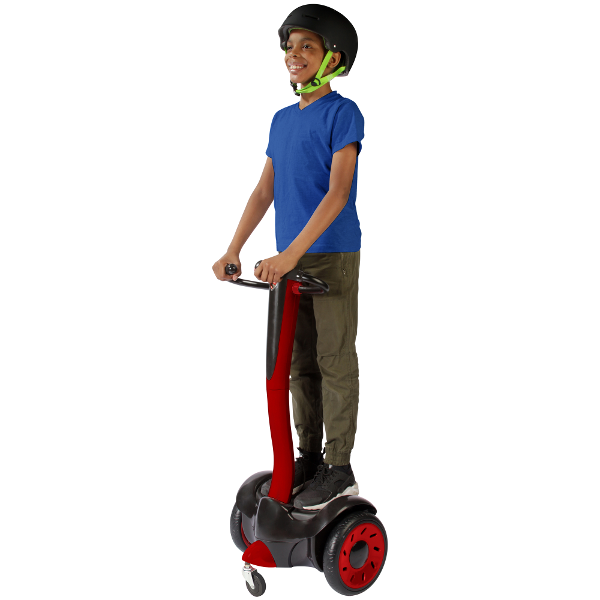 The Rollplay 12 Volt Up-Rider unique design combines the stability and control of traditional scooter handlebars with an innovative wheel configuration The four wheels provide smooth steering and balance, while you create a pivot of 360 degrees for easy turns! 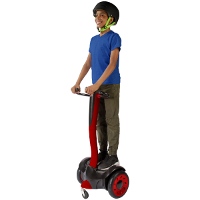 Provides fun dynamic speed and braking for better control and 12 volt motor drive for reliable use. •Maximum weight up to 150 lbs. 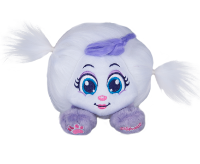 PlaySafe.org is a free resource for families that offers tons of tips and advice on toy and play safety. 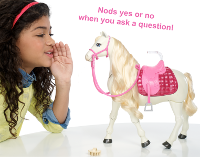 Created for parents by parents at The Toy Association, the site features a handy age-by-age toy buying guide, safety tips for new parents, and FAQs on keeping little ones safe while they play. It also has important information about today's top safety concerns, including fidget spinners, magnets, and battery safety. The goal is to make sure that every play date is both fun and safe! This SMT is sponsored by Leap Frog, Zuru, Mattel, Roll Play and The Toy Association.